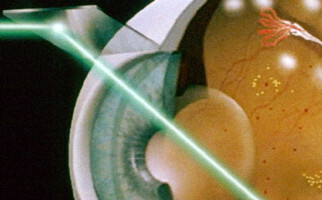 ln laser photocoagulation treatment high intensity rays helps in retinal pathological neoangion obstruction and reduce their growth. Because of laser heat development, neoangia are burned and destroyed. 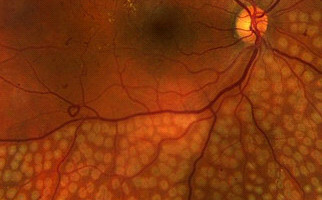 This specific technique is mainly used in diabetic retinopathy treatment (patients with diabetes) and wet-form age-related macular degeneration (AMD) cases. 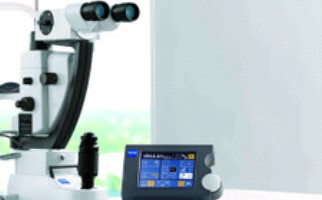 Aktis ophthalmological center (eye laser center) features Visulas 532s photocoagulation laser, a monochromatic radiation laser system with a wavelength of 532nm, which successfully replaces common Argon lasers, with much better results and minimal thermal effect to adjacent tissues, around the area that has to be treated. 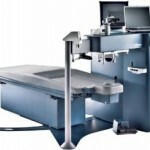 Some of the most impressive technical features of Visulas 532s photocoagulator laser are the following: thermoelectric cooling mode (stable power output and noiseless cooling function), assistant aiming beam radius of 635nm, continuously adjustable pulse length, spot diameter of 50-1000mm, the high quality slit lamp and Carl Zeiss optics, electronic microprocessor controller, active electronic protection filter or stable true colour which not discolors tissues and the illuminated touch-screen with removable inclined control panel for quick parameter settings. 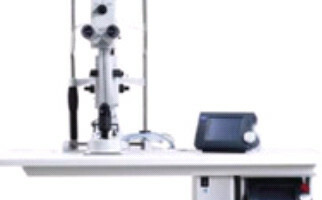 Without doubt, Visulas 532s photocoagulation laser is a stunning, powerful diode laser for controlled and easy retinal photocoagulation.